Inject a bit of spring into your home this season with some easy DIY crafts. Not only a way to entertain the children, but a chance to add some colour into each room and bring the season to life inside your house. Decorations aren’t just for Christmas – spring is another great time of year to decorate a little. The season is associated with beautiful colours, such as lemon, pale pink and pastel blue, and you can add cushions, throws, pictures and curtains in these shades to add freshness to each room. 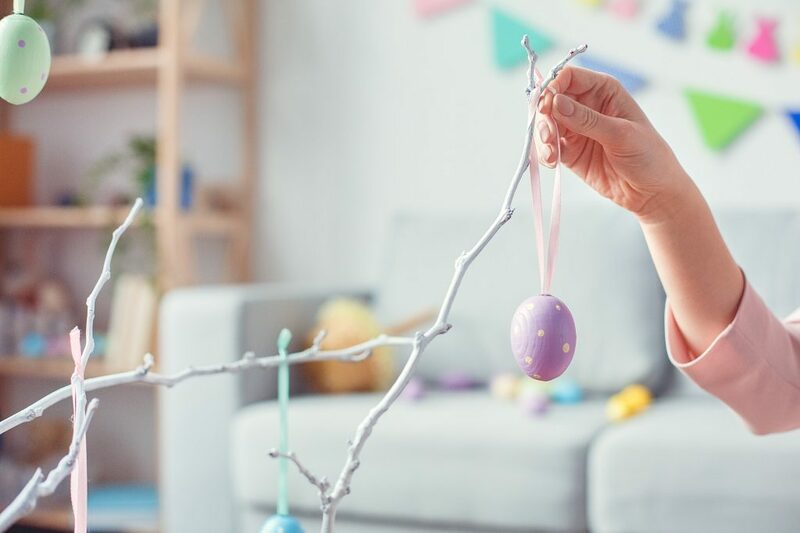 Why not add a seasonal touch to your home by making some springtime decorations with your children? 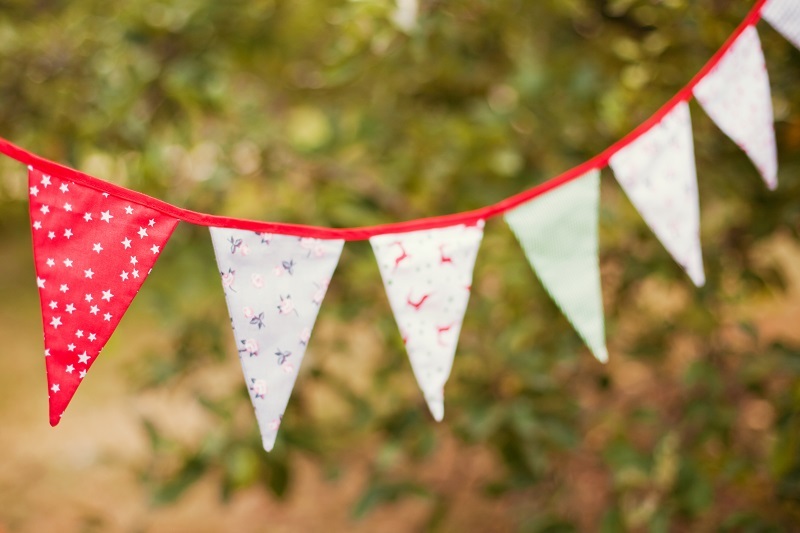 Taking inspiration from traditional fetes, bunting is a great decoration for the season and can look really effective hung inside the home. It’s incredibly easy to make, as all you need is some fabric, scissors and a needle and thread. Choose bright coloured fabric, or, you could even sew letters on to each triangle to spell out ‘Happy Easter’. If you want to get the kids involved, why not ask them to pick the fabric or even cut the triangles? 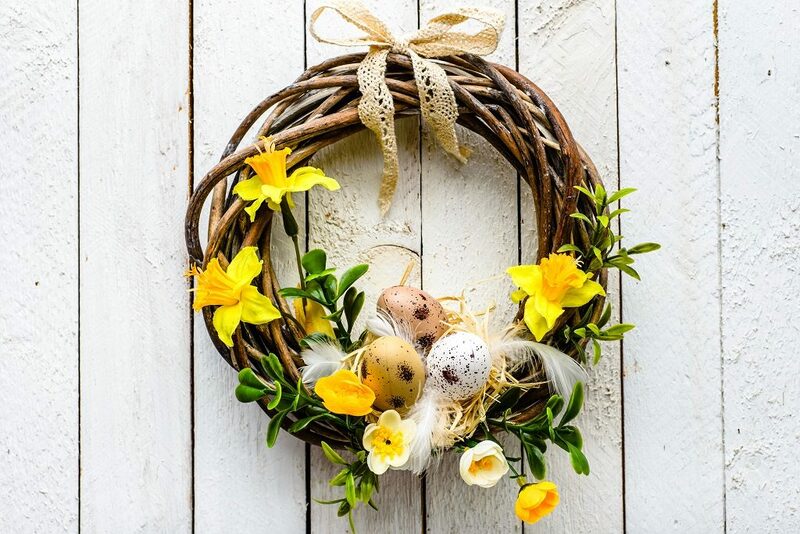 Welcome guests to your home this Easter with a springtime wreath on your front door. Like a winter one, you simply make a circle with branches and intertwine different decorations. Coloured eggs, bows and flowers look really effective and are easy to get hold of or make yourself. One of the great things about hanging wall art is that it’s so easy to change from season to season. And by changing the photos, you can give a room a whole new look. This Easter, an eye catching yet easy-to-make print for your walls is a bunny photo. All you need are some coloured and patterned cards, some miniature craft pom poms, a pair of scissors, and double-sided sticky pads. Print out a bunny stencil and cut around it with the coloured card. Then, stick on the pom poms to make tails. 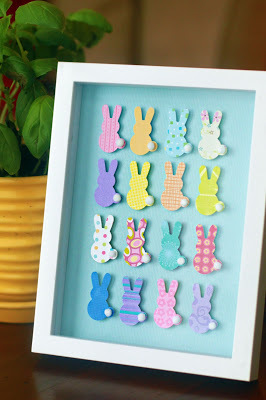 Once you have enough of your bunnies, stick them down on to the plain card using the sticky pads – then pop your creation into a frame ready to place on the wall. 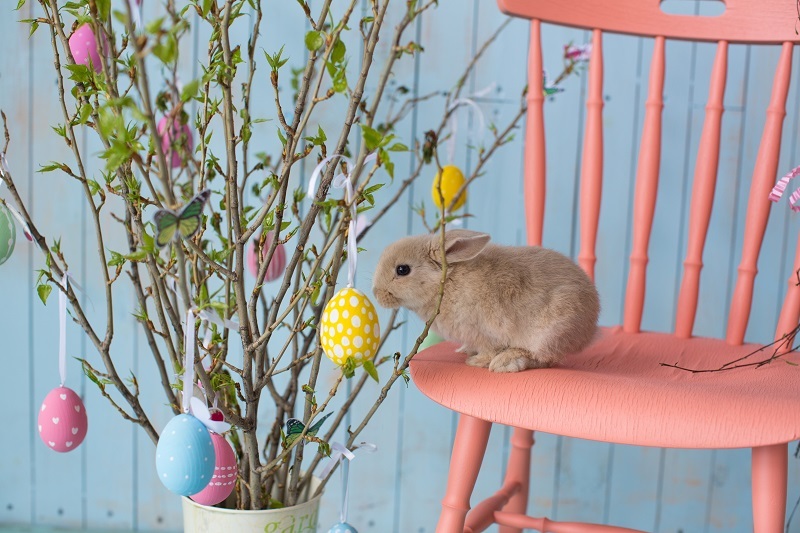 For further Easter decoration inspiration, take a look at this Pinterest page. Happy Easter from Barratt Homes.